An accurate reproduction of the Vox Grenadier X (also known in the UK and Europe as the VOX LS-40) vocal PA columns. Produced by North Coast Music under license from Vox Amplification, UK. These Grenadier columns feature baltic birch construction. In the 1960s, Thomas Organ, the US manufacturer of Vox, made these columns from particle board. Unlike the original Grenadier columns, which were rated at only 40 watts RMS, these reissues feature four high powered 10" speakers, making each column capable of 200 watts RMS (400 watts peak), or 400 watts RMS (800 watts peak) for a pair. A tubular chrome plated "lean back" stand with Vox hand wheels and cabinet swivel mounts is included at no additional cost with the purchase of the Grenadier PA column. 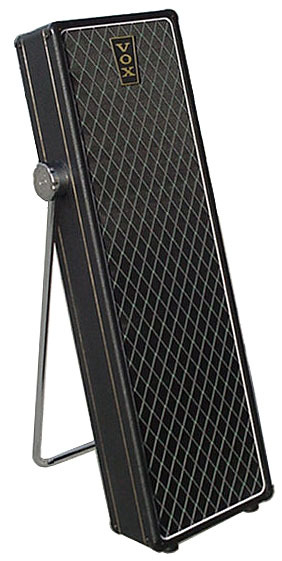 Specifications: 200 watts RMS, 400 watts RMS peak per column. 8 ohms per column, two columns will yield a 4 ohm load. 45" x 13" x 7" , 40 pounds. Single 1/4" input jack. In stock, shipping immediately. Reissue Vox Grenadier X PA Column, including chrome tilt back stand - Minor assembly required, you will need a philips screwdriver and five minutes to install the tilt back stand. No drilling required.